At Mahjong Time, we are constantly seeking to develop and implement innovative features designed to enhance your gaming experience. We’re extremely excited about the potential of a new messaging component and would like your feedback on this idea. Using ingenious software, we can now provide you with the option of triggering prerecorded voice messages while you play mahjong rather than your having to take the time to type them into the chat box. This new method of communicating with other players is unique, entertaining and easy to use. It is, quite simply put, just plain cool. Messages that many of you currently write when using live chat include “wd” (well done), “nh” (nice hand), “very slow,” and “be right back.” We’re planning on using all of these as audio messages. But at Mahjong Time, we’re sure that there are other exciting, fun messages that can be included in our voice-messaging feature. We want to know what kind of audio messages you’d like to “hear” from or “say” to your fellow players. Don’t reply to this e-mail with your wonderful ideas. 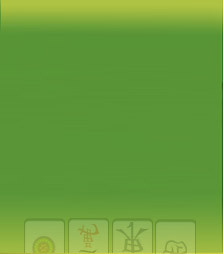 Instead, go to the Mahjong Time blog at http://mahjongtime.blogspot.com/ and respond to the posting entitled, “Voice Messages—Got an Idea?” and start sharing your fantastic suggestions for this creative feature. All of your friends and colleagues at Mahjong Time can’t wait to hear from you.